Hi, my name is Undecided. Ok.. I’m feeling my age today. I’m of the early 70’s vintage and so I thought I would find something thats in keeping. I am not the world’s biggest fan of the Granny Square. 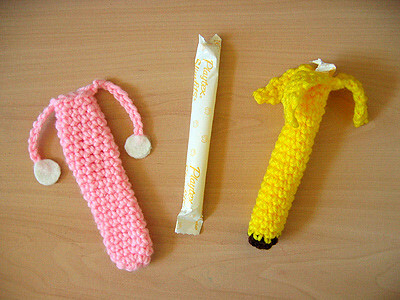 I know they are great for using up scraps of yarn. I know they are great for comfortghans, scrapghans and “justhadtomakesomethinghans”. But I believe there are some places Granny Squares just shouldnt go. 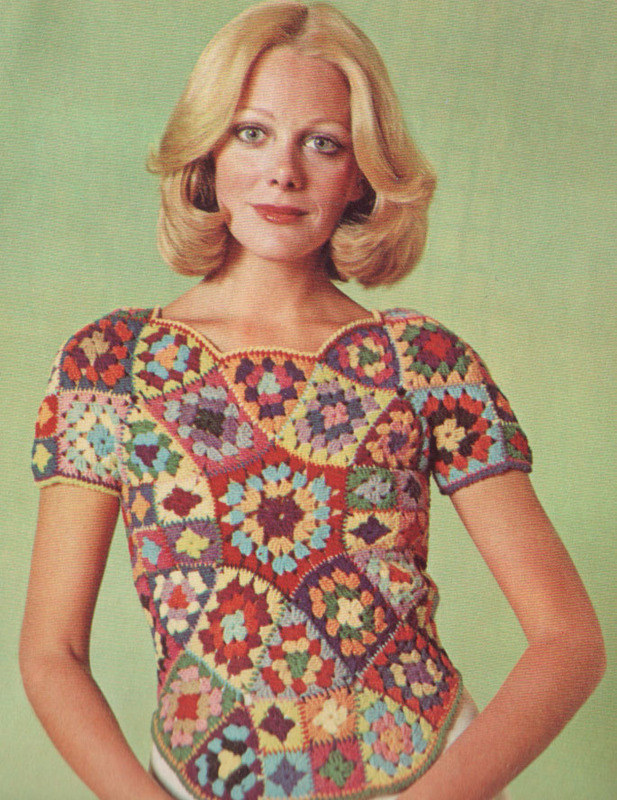 and generally – Granny Squares dont survive an “On the Body Experience”. They also should not be made up by a polarised committee of Colour-blind Chameleons. Call me conservative, but I like toning colours with the occaisional contrast: Think Ferrero Rocher rather than Quality Street. I’m actually in two minds. First of all – I really like the concept, the top is fitted to give a bit of shape, and I like the heart-shaped neckline. The problem I am having is… there’s something really not right about it. And it’s making my skin crawl. And to head off in 2008! 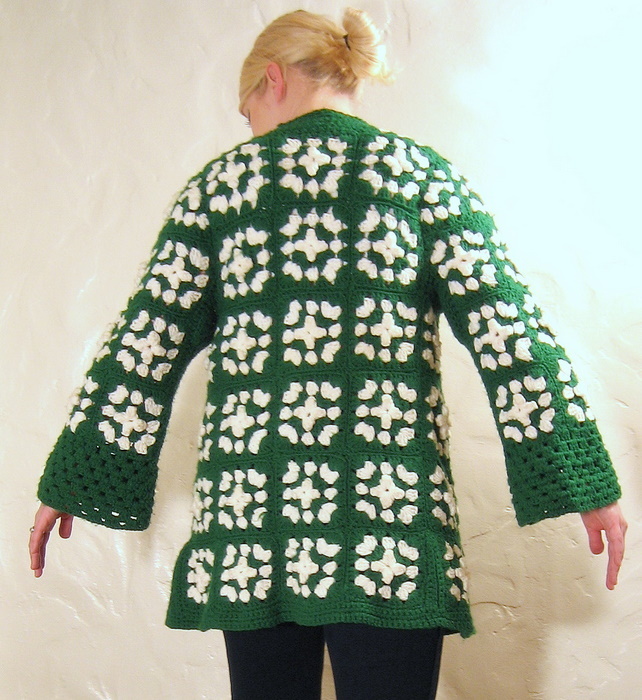 I’m unspeakably relieved that despite a significant amount of searching I couldnt find Christmas Crocheted Fug. I looked. I found some really darling pieces that made me wish I had more time in my life but.. hey..
It’s a Hat. 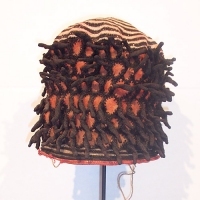 It may LOOK like a sea anemone or the hyperbolic crochet reef.. but it’s a hat. For 3,000 pounds??? And if anyone feels that they could make this and give it to their significant other/partner/sweetie/husband (darling or otherwise) and not have it surreptitiously fed to the dog/cat/budgie, please give it a go, and send the photos! Hope you all had a Merry Christmas and are looking forward to a fugfree (in every way!) New Year!